The Yongle Bell, cast in 1403 at the end of the first year of the reign of the Emperor Yongle, the third emperor of the Ming dynasty. Weighing nearly fifty tons, its sound could be heard fifty kilometers away on a clear night. 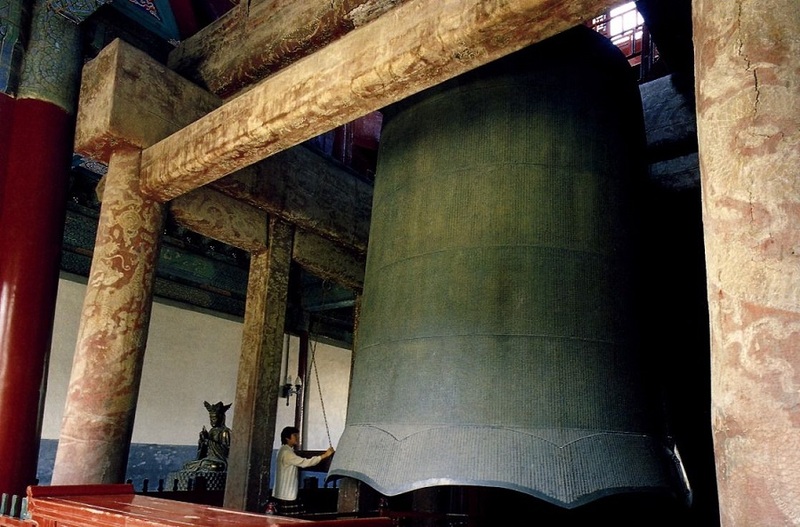 The bell is housed in the Great Bell Temple, located in the Haidian District of Beijing and built in the year 1733. Image courtesy of Cultural China. The story of Ko-Ngai is one of the collection entitled Te-Hiao-Tou-Choué, or “A Hundred Examples of Filial Piety.” It is very simply told by the Chinese narrator. The scholarly French consul, P. Dabry de Thiersant, translated and published in 1877 a portion of the book, including the legend of the Bell. His translation is enriched with a number of Chinese drawings. . . . The drawing that accompanied Ko-Ngai’s story in Thiersant’s book is reproduced to the left. Fo. Buddha is called Fo, Fuh, Fuh-tu, Hwut, F˘at, in various Chinese dialects. 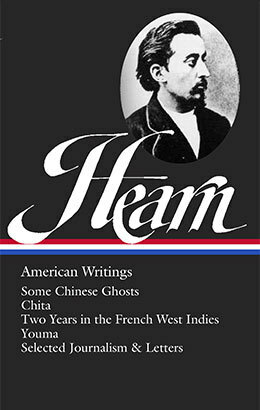 The name is thought to be a corruption of the Hindoo Bodh, or “Truth,” due to the imperfect articulation of the Chinese. . . .
Lí. A measure of distance. The length of the lí has varied considerably in ancient and in modern times. The present is given by Williams as ten lí to a league. Ta-chung sz’. Literally, “Temple of the Bell.” The building at Pekin so named covers probably the largest suspended bell in the world, cast in the reign of Yong-lo, about 1406 AD, and weighing upwards of 120,000 pounds. 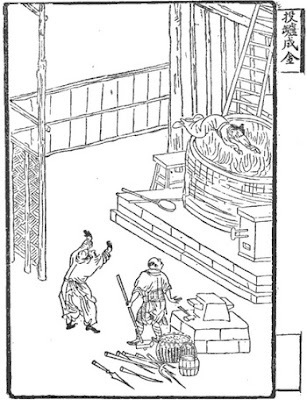 The water-clock marks the hour in the Ta-chung sz’,— in the Tower of the Great Bell: now the mallet is lifted to smite the lips of the metal monster, . . . If you don't see the full selection below, click here (PDF) or click here (Google Docs) to read it—free! Hi can u make a use of using larger end on your stories. For those of us who can't see the hen scratches you use now. Or even better have every story in your normal size and also the same stories in large print size? You can view the stories at a much larger size--or even print them out as large as you want--by simply clicking either of the two links above the reader (PDF or Google Docs).